What a find! 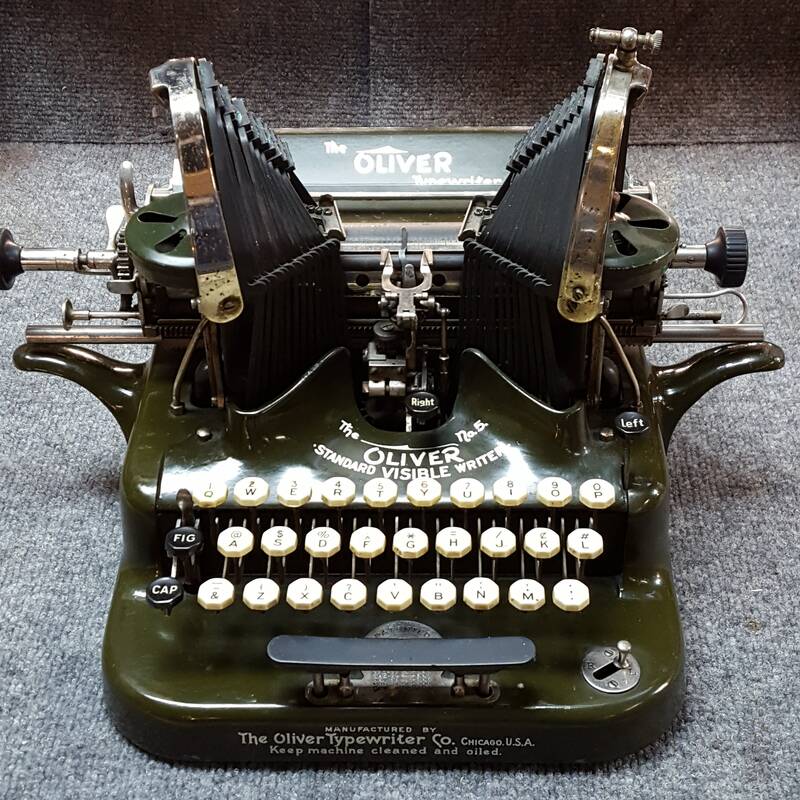 This Oliver is in wonderful condition for 110 years old. The vibrant color and industrial design, make this great for any décor, home or office. This typewriter looks like it was loved and well taken care of. 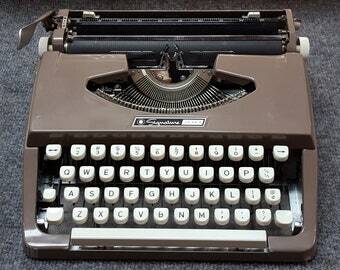 It appears to be functional, very smooth, all keys working. There is no ribbon present, so I'm unable to show typeface, appears to be standard typeface. The spools for the ribbon are here. Paper loads through without issue. This typewriter is in original condition, not restored. Does not come with case.